Alessandro Marchi TM RIBs are the embodiment of top Italian innovation and design. Designed and manufactured using the state of the art Italian technical expertise, AM RIB combines safety, quality, and comfort without sacrificing style. Alessandro Marchi TM is a global minded brand whose passion for detail and quality is not merely limited to manufacturing boats. The company is firmly committed to the environment, donating a portion of each sale to environmental organizations worldwide. Alessandro Marchi TM RIBs are not only a boat but are also a way of living in harmony with the environment. The quality of the brand Alessandro Marchi TM has been constantly enhanced by the valuable collaboration between Alessandro Marchi, co-founder of the company and his associates. 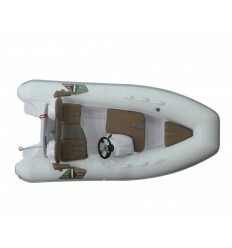 The shipyard realizes refined and elegant crafts constantly striving to build the world’s best inflatable boats. Alessandro Marchi TM products range from 9 to 29 feet length RIBs. 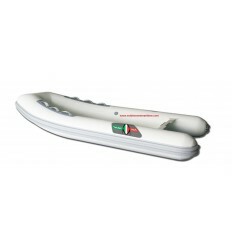 The combination of rigid hull and inflatable buoyancy tubes was first introduced in 1960’s in Great Britain. 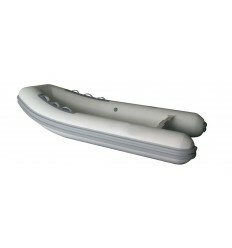 Rigid Inflatable Boats are used as rescue craft, safety boats for sailing, dive boats and tenders for larger boats and ships. Their shallow draught, high maneuverability, speed and relative immunity to damage in low-speed collisions are advantages in these applications. Alessandro Marchi TM RIBs, Built With Italian Passion! ALESSANDRO MARCHI 290 TR Unparalleled Italian design with woodless construction. Bowlocker equipped and comming in at only 165 lbs. ALESSANDRO MARCHI 320 TR Unparalleled Italian design with woodless construction. Bowlocker equipped and comming in at only 220 lbs with a spacious bow locker and a floor locker. ALESSANDRO MARCHI 355 ST Unparalleled Italian design with woodless construction.